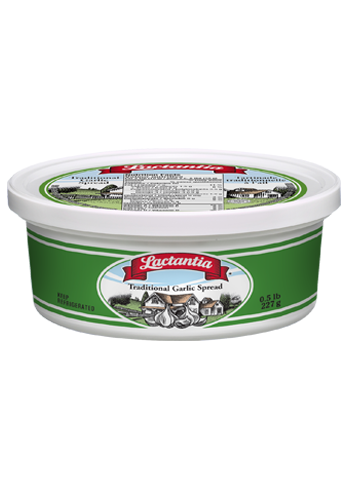 Lactantia® Traditional Spread is a vegetable oil table spread made with non-hydrogenated oils. 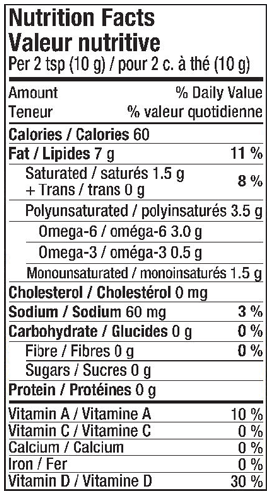 Now with 0g of trans fat per 10g of serving, it is a healthier option compared to other margarines containing hydrogenated fats. A delicious, buttery flavour with a touch of garlic flavour.